My kids have a little over a month left until they head back to school. I’m not quite sure any of us are ready. (Well, I know for a fact they’re not ready because, well, they tell me everyday.) Every year I swear to myself that I will not start off the school year disorganized. Last year was awful. I just wasn’t ready mentally and my house wasn’t ready physically. Why? I’m not really quite sure. I just remember being a bit of a mess on the first day of school. But this year, I’ve already started getting my act together. We’ve started school shopping. I’ve set up a paper filing system. The pantry is all organized and ready to go. My older kids have started on their summer school assignments. And I have a list of things to do around town (a staycation of sorts) before that school bell starts ringing. I thought it would be fun and hopefully helpful to start a Back to School Organization Series. Each week we will tackle a different room and/or system for getting your ducks in a row. 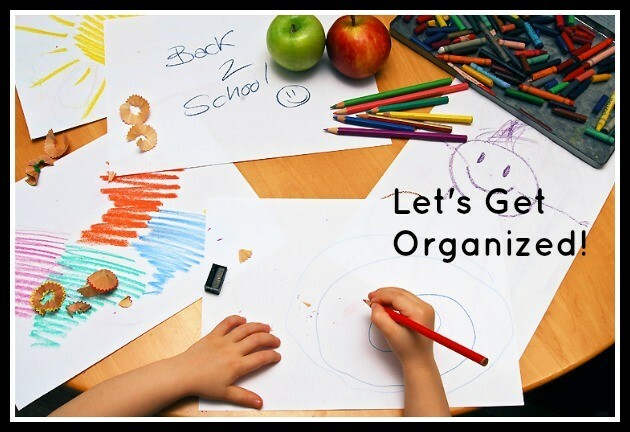 I hope you’ll join me and share how you’re getting yourself organized for Back to School. Look for post number one on Wednesday! Previous articleTraveling? Don’t Forget Your…Pajamas!